Subscribing is FREE and easy! Customize your subscriptions based on your personal preferences. Simply fill out the short form to subscribe and you will receive an email to confirm your subscription preferences. See examples of our electronic publications. See examples of our print publications. 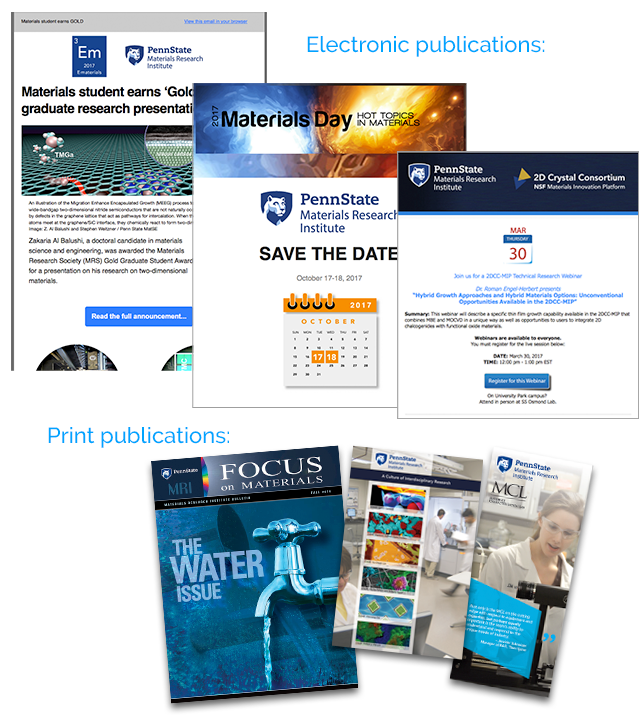 Thank you for your interest in the Materials Research Institute at Penn State!